I got into the habit of making cupcakes for people when they leave the office (maybe I should be more positive and starting making them when people join instead!). I try to come up with a theme which is relevant to the person I’m making them for. 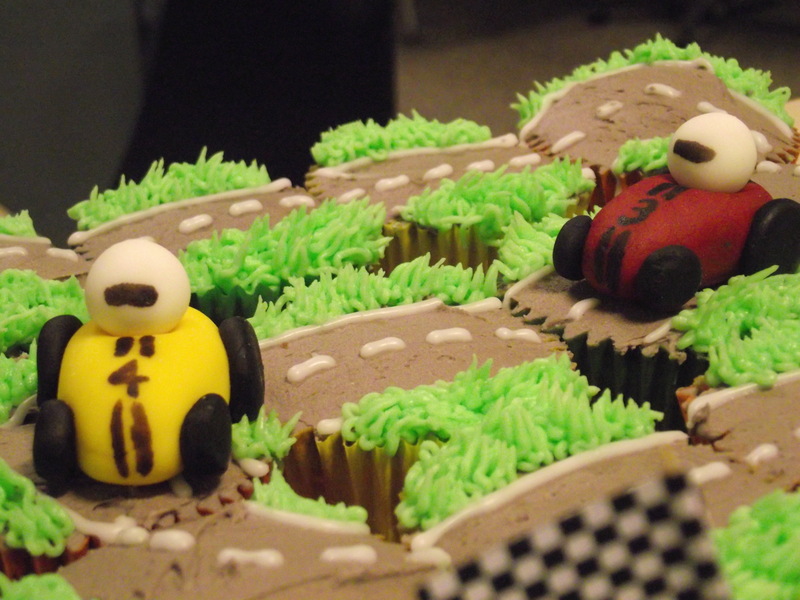 These were for Stu and he loves cars so it was pretty easy to work out what I was going to do: a race track made of cupcakes with icing cars racing round! mix some icing sugar with water so that it forms a fairly thick paste which can be piped and put it into a piping bag. Then snip the end off to form a hole about 1mm wide (or use a small nozzle). finally…. 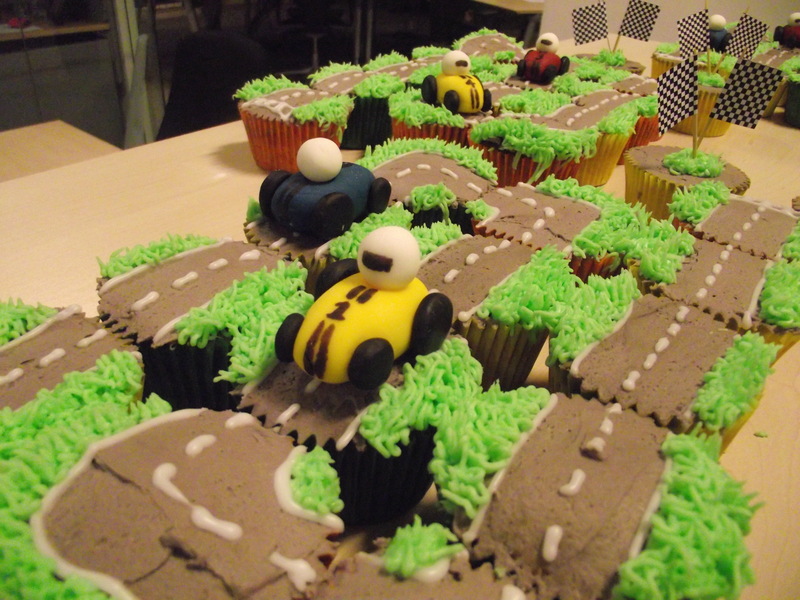 arrange the cupcakes into a track and place the cars on top! The actual cupcakes were a mix of chocolate, vanilla and caramel (recipe will be appearing in post soon) all topped with coloured vanilla buttercream. That looks totally lovely … eh … funny of course!